Our Michigan Adventure! was designed from the very beginning with the student in mind. It is easy to read with a controlled vocabulary. It has simplicity with no overload of concepts. It has great eye appeal. 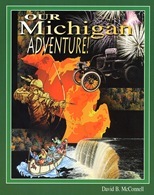 Includes colorful photos, maps & charts. Reading level 4.38. It is coordinated with our Desk Maps, Activity Masters and Computer Programs. Click here for GLCE correllation. Click here for sample chapter. Assessment Package. © 2005 CD only. Provides TWO levels of MEAP-like tests for each chapter. 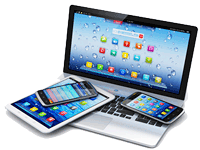 Tests include prompts, charts and graphs. CDVs and extended responses. 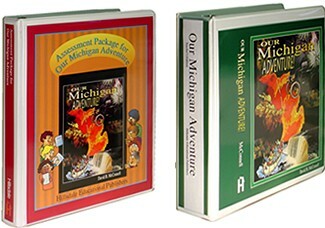 Michigan Activity Masters has over 100 reproducible activities connected with Michigan Studies, both pre and post statehood. Suitable for 3rd and 4th grade students. All activities are designed at a young learner’s level. Concepts include: core democratic values, historic events and problem solving strategies, differing viewpoints and much more. Size 8.5 x 11 in. Provided in a 3 ring binder.